Windy and wet this weekend? HONOLULU (HawaiiNewsNow) - Lots of sun and blue sky to start the day at least leeward. But expect changes as the day progresses. Easterly winds will strengthen to 15-25mph with gusts to 35mph and today's passing showers will increase in frequency overnight tonight. Forecasters then insert the chance for heavy showers for Friday and Saturday as an upper level disturbance interacts with remnants of a surface cold front as it crossing the islands from west to east. We don't expect a repeat of the severe flooding from last week, but stay alert. 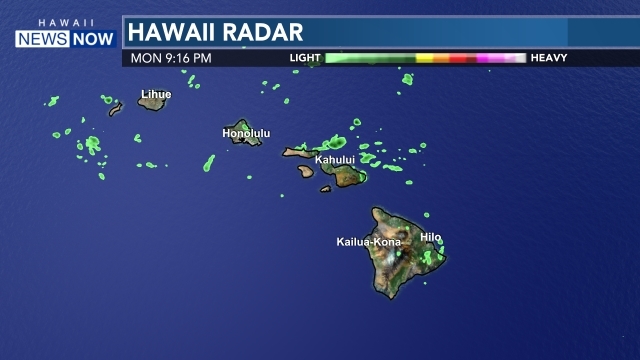 We have already heard reports of heavy showers in Kilauea on Kauai around 9 a.m. Looking ahead, we may see some dramatic improvement on Sunday. The National Weather Service says it will still be breezy, but skies should be mostly sunny.